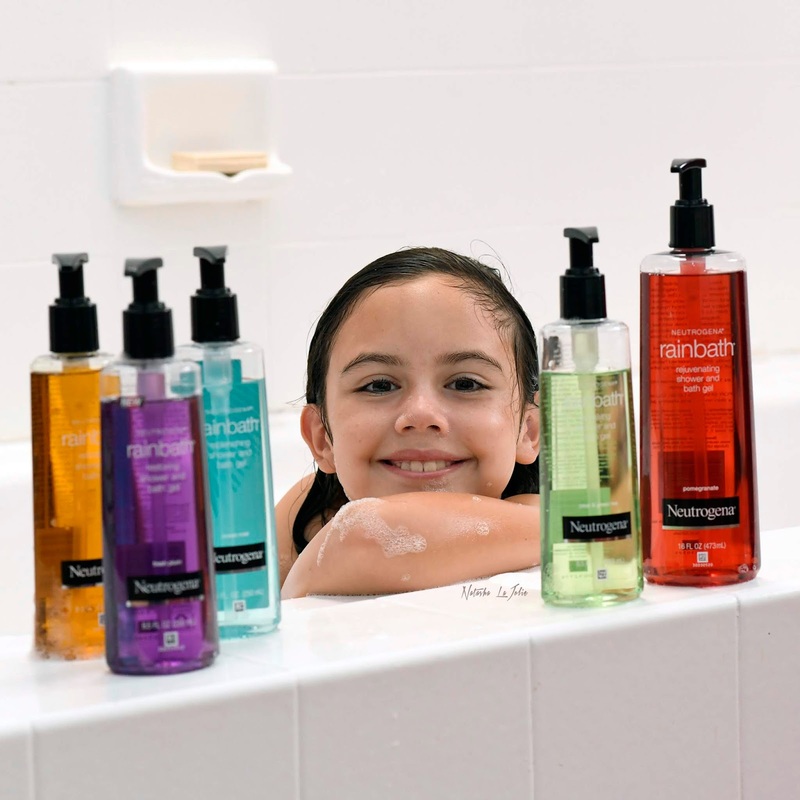 I am thankful to Neutrogena for sending me these awesome Rain Bath products! 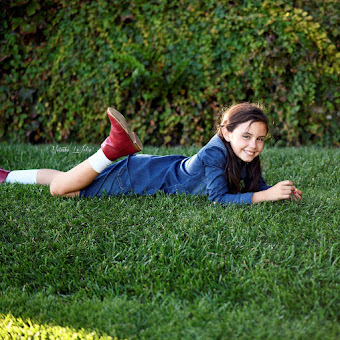 As you know, I am a swimmer and an actress, and keeping my skin clean and smooth is very important. Last week, we just switched the time back, which means the days are shorter. Now when I go to the pool for swim practice, it is already nighttime. And when I get out of the water, it is much cooler than in the summer. So my favorite thing to do, when I get home after swim practice, is to relax in a warm bath. 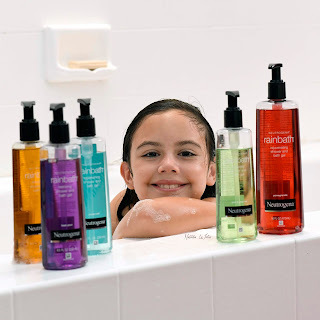 I can't say enough about the Neutrogena Rainbath shower and bath gel. My skin feels so smooth and soft after the bath 🛁! And these products smell so good. My favorite scent is the pear & green tea. My mom loves to use the Pomegranate one during her morning shower. She feels rejuvenate with it, exactly what she needs to get ready for her day at work. It is so great that my mom and I can share these products as they are FREE of Paraben, Lanolin, Gluten, Soy, and Propylene Glycol. 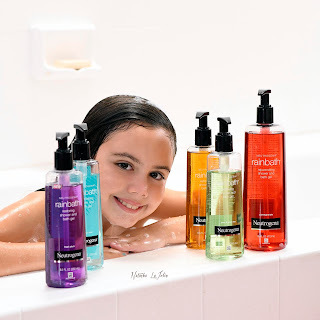 I am just saying that these bath and shower gels, are Tween and sensitive skin approved! If you too would like to #RelaxwithRainbath, head to the Walgreens and get some some for yourself! Thoughts and opinions are my own and written by my mom.